Check out this 2018 CMA Awards collaboration between Chris Stapleton, Maren Morris, Mavis Staples, Morgane Stapleton, and Marty Stuart! 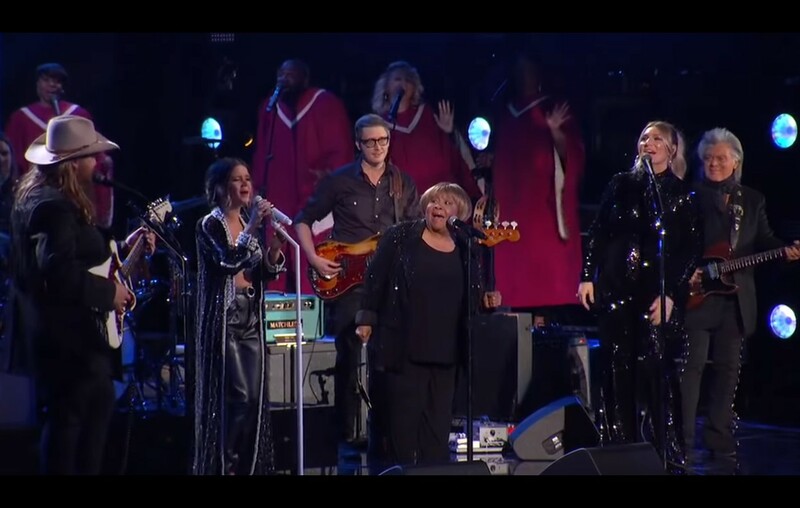 Chris Stapleton, alongside Maren Morris, Mavis Staples, Morgane Stapleton, and Marty Stuart, brought pure soul to the stage during their medley of “Friendship” and “I’ll Take You There” at the 2018 CMA Awards! Chris Stapleton’s cover of The Staples Singers’ leader Pops Staples’ “Friendship” is featured on the country star’s From A Room: Volume 2 album. Listen to his version below! Share this performance with others who would appreciate it!